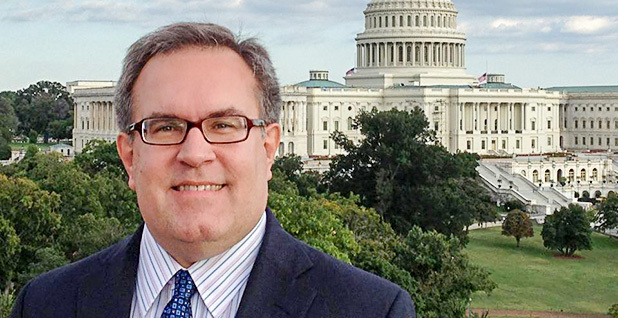 Andrew Wheeler, described as a savvy and well-known D.C. insider, will take the helm at EPA after embattled Administrator Scott Pruitt exits today. From his affinity for Midwestern fare to his low profile, sources say Wheeler and Pruitt — aside from their policy objectives — couldn't be more opposite. And that could mean big changes for EPA's management. 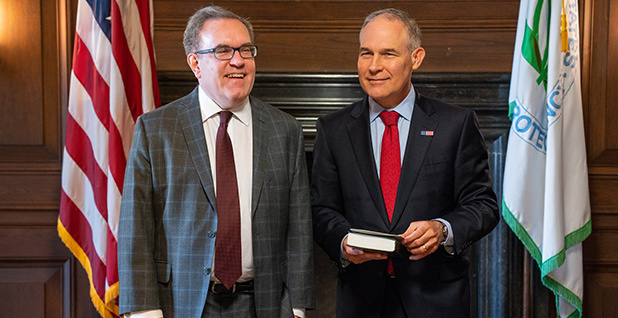 "[Wheeler's leadership is] going to lower the temperature dramatically, where Pruitt was more confrontational," said Frank Maisano, a partner in Bracewell LLP's Policy Resolution Group. "He's a low-drama, high-production type of person. He's certainly not going to grab the headlines like Pruitt." Wheeler, energy industry sources said, has both Capitol Hill savvy and knowledge of EPA, and has worked in a bipartisan fashion in the past. That included a stint at EPA in the 1990s before heading to the Hill to serve as a top aide for former Senate Environment and Public Works Committee Chairman Jim Inhofe (R-Okla.). But he's also drawing the ire of the left, given his time as a lobbyist at Faegre Baker Daniels Consulting, where one of his top clients was coal mining executive Bob Murray, who is currently pushing the Trump administration for favorable federal treatment to bail out struggling coal plants that buy fuel from his mines in West Virginia. Wheeler has vowed to steer clear of issues he's lobbied on at EPA and other agencies for former clients, including Murray Energy Corp. So just who is EPA's incoming acting chief? Wheeler hails from Fairfield, Ohio, a city in the Cincinnati suburbs that houses one of the nation's top gymnastics programs. He graduated from Fairfield High School in 1983, and his late father, Ron Wheeler, was the city's first dentist in the 1960s, according to the Hamilton Journal-News. Wheeler told the newspaper in an interview that his mother, Pat, still lives in the same house his parents moved into during the summer before he was born. Wheeler is also known to be an avid collector of old Coca-Cola memorabilia. He also told the newspaper he's an Eagle Scout, he hiked Mount Kilimanjaro in Africa three years ago, and he really misses Midwestern food, especially Cincinnati chili and coney dogs. "I miss a lot of local foods. You don't have that here, in my opinion," Wheeler said of Washington, D.C. "You either have nice restaurants or you have nice food. Back home, you have those Skylines, the Frisch's, that aren't fast food but you can go in and sit down with your family and eat a meal and not pay $100. But here, there isn't something like that." Wheeler has a bachelor's degree in English and biology from Case Western Reserve University in Cleveland and a law degree from the Washington University School of Law in St. Louis. He also has a master's degree in business administration from George Mason University. He's worked at EPA before. 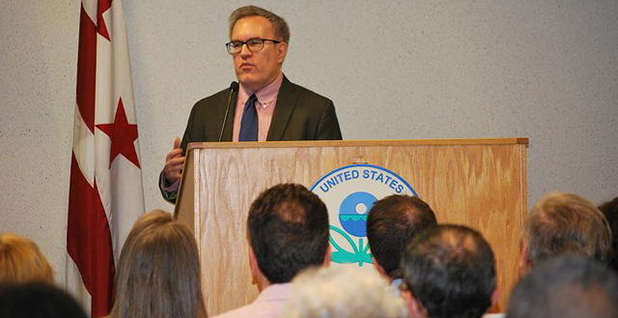 Wheeler first started working for EPA in 1991 under President George H.W. Bush as a special assistant to a division director working on toxic chemicals, pollution prevention and right-to-know issues. He had that job until 1995. 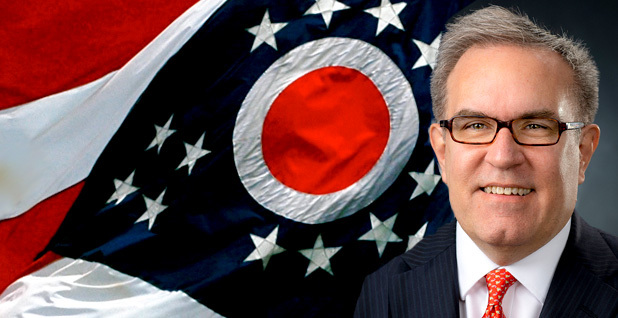 After leaving EPA, Wheeler went on to work on Capitol Hill for 14 years, first for Inhofe for six years and later for the late Republican Sen. George Voinovich of Ohio for two years. Wheeler would later return to Inhofe's staff as director and chief counsel for the Senate EPW Committee. During that time, he worked on legislation including the Energy Policy Act of 2005 and the "Clear Skies Act," which died in Congress. Wheeler appears to have a lighter side in correspondence with other EPA officials. In a cache of emails released to the Sierra Club under the Freedom of Information Act, Wheeler can be seen poking fun last year with Ryan Jackson, currently the chief of staff to Pruitt. Jackson ribbed Wheeler, writing, "Glad you hate making money." Wheeler's reply: "I really really like money." Wheeler also showed he can take a joke, even at his own expense (Greenwire, June 26). In one exchange, he poked fun at the idea that he was a "controversial" nominee. At his Nov. 29, 2017, confirmation hearing, Democrats questioned Wheeler about his lobbying for the coal giant Murray Energy. Later the same day, Jackson sent Wheeler a newspaper story with the headline, "Senate panel advances controversial environmental nominee." The nominee in the story wasn't Wheeler, but rather Kathleen Hartnett White, President Trump's pick to lead the Council on Environmental Quality. "I guess this means you're not a controversial nominee. Congratulations," Jackson wrote. Wheeler responded about the headline, "I'm sure he meant to say two." He's taken down climate legislation in Congress. During his tenure as a top Senate aide, Wheeler was instrumental in killing bipartisan climate legislation. He served as staff director for Inhofe, the upper chamber's leading climate skeptic. And during the George W. Bush administration, Wheeler worked behind the scenes to crush a series of bipartisan cap-and-trade climate bills that came up and landed with a thud, according to aides who worked on the panel with him (Climatewire, Oct. 26, 2017). 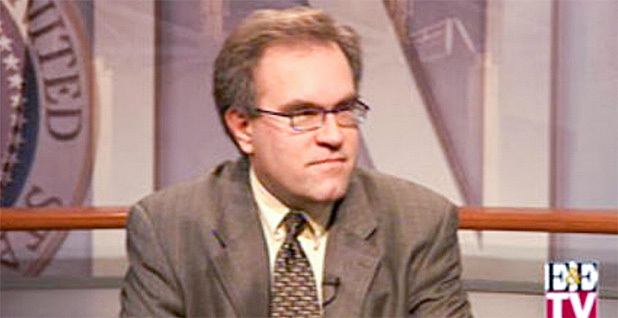 Chris Hessler, who founded the lobbying firm AJW Inc. and worked with Wheeler on the Senate committee, said his former colleague has always been clear and open about his skeptical views on climate science and desire to protect the economy. "He's been a faithful representative of his bosses, Inhofe chief among them, but he was also well aligned with their perspective," he said. Along with Inhofe, Wheeler has secured allies on Capitol Hill, given his work on the EPW Committee and for the energy industry. He's also gathering critics such as Sen. Elizabeth Warren (D-Mass. ), who vowed to fight his nomination should it occur. 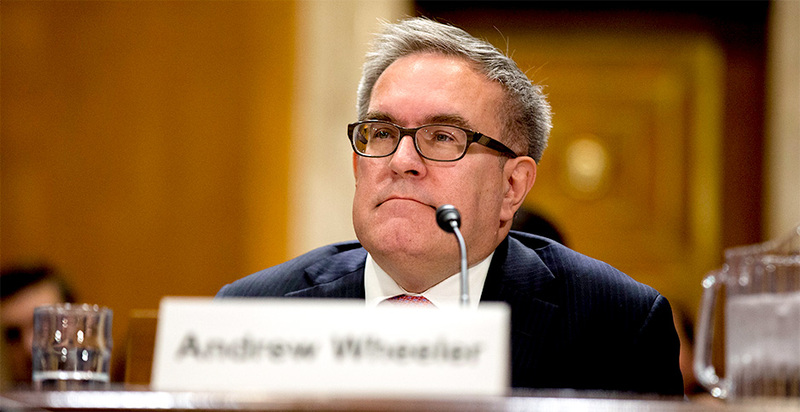 "Andrew Wheeler may not have the same stink of blatant corruption as @EPAScottPruitt — but he's just as dirty. The @EPA's new Acting Director is a former coal lobbyist who will work to poison the agency — and the environment he's supposed to protect — from the inside," Warren tweeted today. Even so, industry sources who approved of Pruitt's regulatory rollbacks said they hope Wheeler will also deliver — but are wary of pushback from the left, even though Wheeler has worked across the aisle for years. What's unclear is when or if Trump will make a nomination, given the landscape of his expected next fight: a Supreme Court nominee. Whatever happens, Wheeler's tenure as acting head could be a good test run for administrator, they said. "He's a known quantity in town; he's already been confirmed," said Thomas Pyle, CEO of the Institute for Energy Research and a former Trump transition official at the Energy Department. "If the Sheldon Whitehouses of the world want to make an issue out of him, they will."